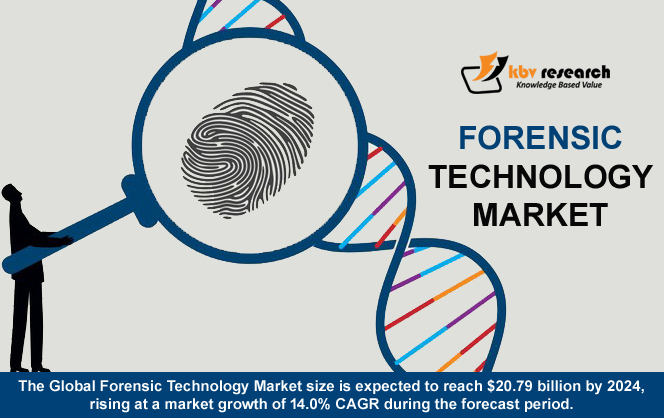 According to a new report Global Forensic Technology Market, published by KBV research, The Global Forensic Technology Market size is expected to reach $20.79 billion by 2024, rising at a market growth of 14.0% CAGR during the forecast period. The North America market would dominate the Global Forensic Technology Chemical Analysis Market by 2024, growing at a CAGR of 11.6 % during the forecast period. The Europe market is expected to witness a CAGR of 12% during (2018-2024). Additionally, The Asia Pacific market is expected to witness a CAGR of 14.1% during (2018-2024). The Biometric Devices market dominated the Global Forensic Technology Market by Product 2017, thereby, achieving a market value of $6,978.7 million by 2024, during the forecast period. The Digital Forensics market is expected to witness a CAGR of 14.5% during (2018-2024). The DNA Testing market is expected to witness a CAGR of 15.8% during (2018-2024). Additionally, The Ballistic Forensics market is expected to witness highest CAGR of 14.3% during (2018-2024). 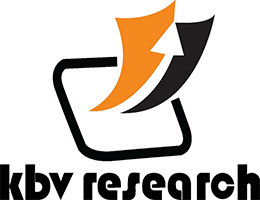 The market research report has exhaustive quantitative insights providing a clear picture of the market potential in various segments across the globe with country wise analysis in each discussed region. The key impacting factors of the market have been discussed in the report with the elaborated company profiles of Eurofins Scientific, LGC Forensics, SPEX Forensics, Neogen Corporation, NMS Labs, 3M Company, Thermo Fisher Scientific, GE Healthcare, Ultra electronics forensic technology and Agilent Technologies.